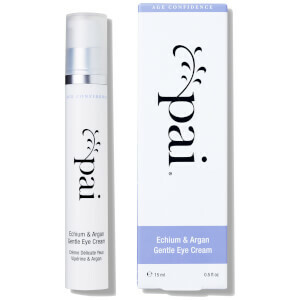 Pai's Echium & Argan Soothing Eye Cream is rich in Gamma Linolenic Acid and Stearidonic Acid - naturally occurring ingredients with proven anti-ageing properties. This nourishing organic cream is free from alcohol and irritating chemicals, making it ideal for the delicate skin around the eyes. Stearidonic Acid is a rare form of omega 3 that helps to regenerate skin and smooth fine lines. Recent research has shown that Gamma Linolenic Acid (GLA) has strong anti-ageing and cell regeneration properties. Echium is the richest known natural source of both Stearidonic Acid and GLA, and many are calling it the new "wonder ingredient" for anti-ageing products. 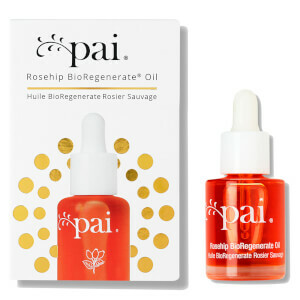 - Apply sparingly to the delicate skin around the eyes. Aqua, Argania Spinosa Oil*, Prunus Armeniaca Oil*, Carthamus Tinctorius Oil*, Cetearyl Alcohol, Glycerin*, Butyrospermum Parkii Butter*, Echium Plantagineum Extract, Rosa Canina Seed Oil*, Cetearyl Glucoside, Pelargonium Graveolens Oil*, Citrus Sinensis Oil*, Jasminum Grandiflorum / Helianthus Annuus Oil*, Mixed Tocopherols, Sodium Levulinate, Sodium Anisate, Sodium Lauroyl Lactylate, Lactic Acid.